We have a habit of both overestimating and underestimating how long things last. We overestimate how long our language and symbols may last and we underestimate how long things like nuclear waste last. The reality is that the equipment and materials used in the nuclear industry will remain dangerous for tens of thousands of years. How do you convey the lethal but invisible danger of radiation to humans who might inadvertently discover these materials in the far future? Especially bearing in mind that by that time nuclear energy may be an ancient and outdated technology and our modern-day languages may no longer be comprehensible? The challenge of communicating this risk forward over thousands of years is a troubling one. Consider the notice in the photo below. 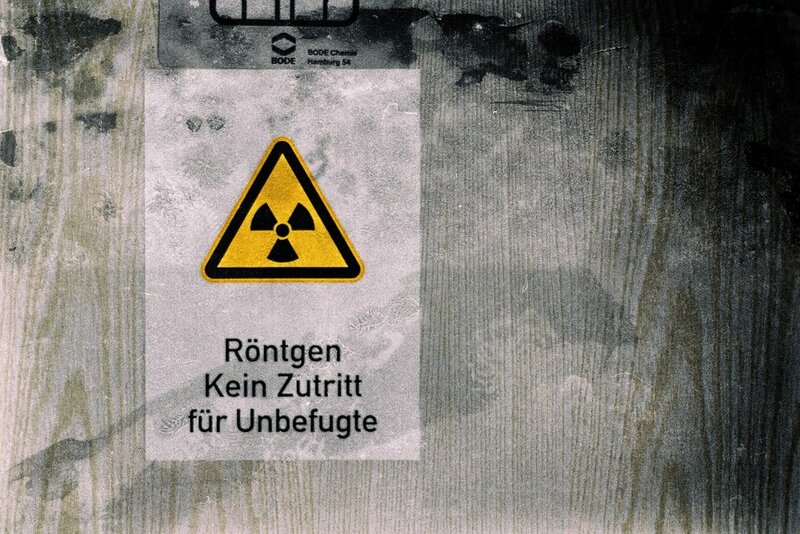 Unless you knew that the symbol represents radiation, or you have a solid grasp of German (the text translates as “Radiation. No Entry Permitted to Unauthorised Persons”), would you instinctually recognise this as a warning that something life threatening lies beyond? Invented by an engineer, Cyrill Orly, the current radiation symbol of a “dot” and “fan” represents a central atomic core and its energy radiating outwards. With nuclear technology itself being relatively new, the symbol has only existed since 1946, and even today, few people recognise the symbol as representing anything dangerous. Growing up in a family involved in the environmental sector, I get a deep visceral shiver when I see the symbol. However, I can imagine that to many, it just looks like a fan. Refreshing. The idea of inventing a new symbol to avoid any confusion and safe-guard people of the future may seem like an easy solution. I can easily think of a number of seemingly “obvious” symbols that represent danger. Things like: skulls, poison and death. Skulls are not always feared. Some of these ideas might have sprung to mind for you too. However, symbols are not universal. Their meaning can differ between cultures and over time. For example, the skull is a symbol of celebration in some cultures. It’s possible to imagine how a symbol of poison could be misinterpreted as representing a wonderful, refreshing drink or potion of immortality. An image of a dead person could be mistaken for someone sleeping. One of my favourite authors, David Macaulay, hit upon this predicament exactly, with his wonderful book, ‘Motel of the Mysteries.’ In it, he describes a fictional fantasy where the entire North American continent is buried during the 1980s and is slowly excavated by archaeologists much later. A motel complex is discovered and the group works hard to decipher the mysteries behind the ‘artifacts’ that they find. I was amused by the interpretation of the “great alter” (television set), “sacred ceremonial collar” (toilet seat), “ritual wand” (toilet brush) and “religious monuments” (fast food outlet signs). His wonderful examples highlights how easily the things we use today may become forgotten and incomprehensible in the future. This includes language and symbology. That isn’t how you use a toilet seat. In 1991, Sandia Labs convened a wide-ranging team of experts to develop visible symbology for an up-coming nuclear waste storage facility. After years of deliberations, the end result is a strange amalgam of a number of ideas including Edward-Munch-like ‘faces of horror,’ the trefoil and inscriptions in multiple languages. Sketch of the nuclear waste totem. There are so many challenges in such a future-facing design exercise. Which potential aspects of social development over the next ten thousand years pose the most risks for underground digging? What about future mining, scientific exploration or the search for water? No matter how deep the site, all of these activities could bring future humans within reach of the waste. Which materials should be used that will last long enough to warn others about the site? Which symbols best handle the drift in meaning? It’s easy to make comments on work from a distance; it’s a challenge to imagine doing better. I haven’t worked my way through the entire report, but I was struck by a host of challenges right from the start. For example, using a physical barrier that mimics visible threats in nature (like thorns or spines) could just as easily be interpreted as the protection of some great treasure, which would only encourage exploration. Sketch of a concept spine hedge barrier. It made me think of various schematic representations that might relate more directly the outcomes of exploring a radioactive site. This could include images of people melting, or otherwise being catastrophically affected. Maybe these representations could be etched in granite blocks, externally facing and internally placed (to protect them from surface weathering)? They could be paired with three-dimensional versions placed outside the entrances to the various storage pathways. 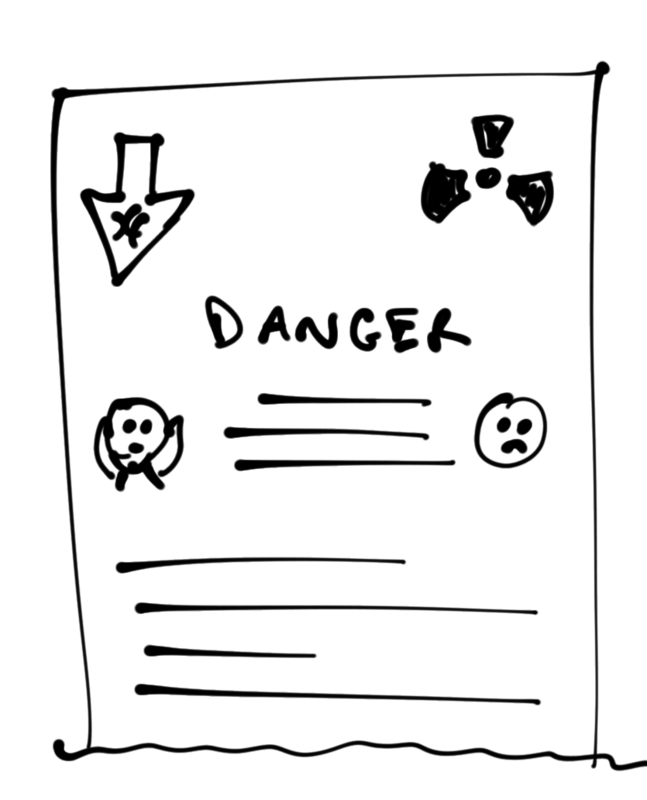 Sketch of a concept schematic warning. You stay, you melt. Of course, the most obvious answer is to reframe the question. Instead of having to protect long-lived waste, perhaps we can improve our sources of energy so they leave less of a future burden on our descendents? Harrigan, C (2015) Iconic Symbol, Smith Journel (Vol. 15, Spring 2015). Macaulay, David (1979) Motel of Mysteries, Houghton Mifflin. Trefoil Photo by Denny Müller on Unsplash. 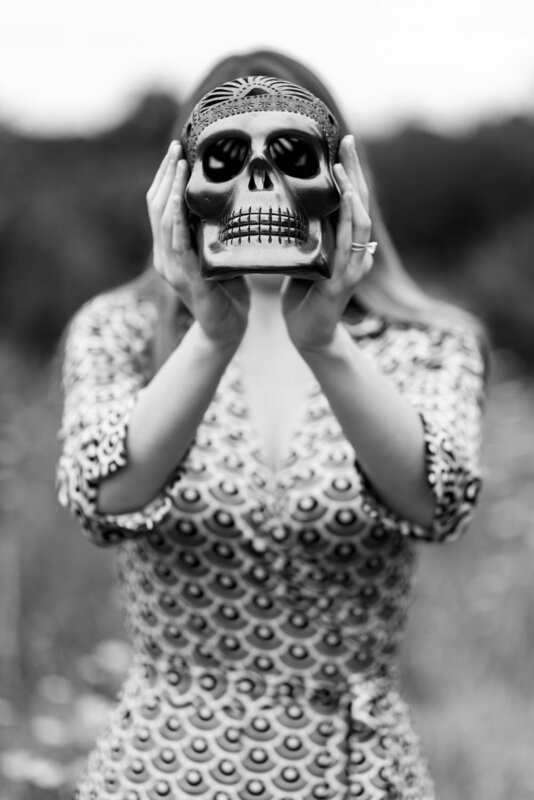 Skull Photo by David Taffet on Unsplash. Sketch of Totem (c) 2019 Christopher Roosen. Sketch of Spine hedge (c) 2019 Christopher Roosen. 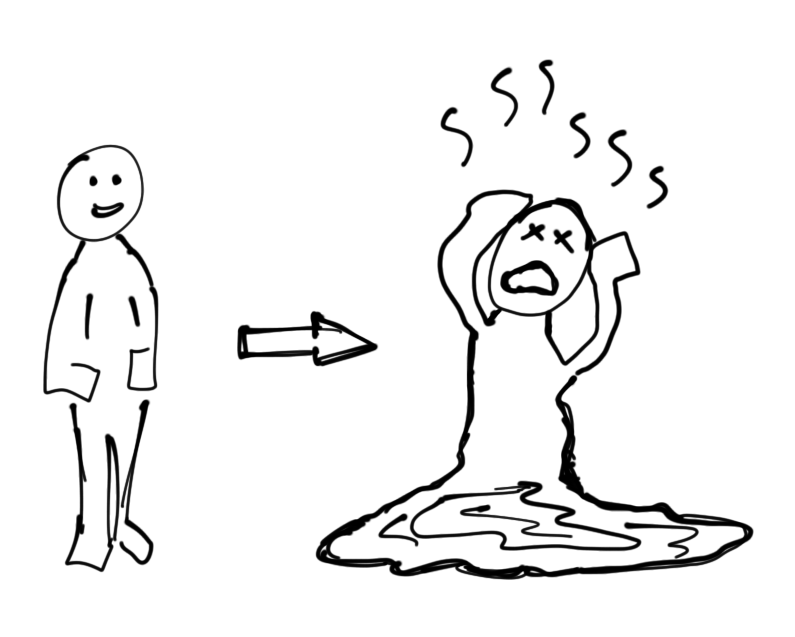 Sketch of Melting (c) 2019 Christopher Roosen.